Blizzard’s prepping to roll out the final piece of the StarCraft II trilogy next month with Legacy of the Void, but you can get a small taste right now with Whispers of Oblivion. The three-mission mini-campaign deals with the Dark Templar Zeratul and bridges the gap between Heart of the Swarm and Legacy of the Void. The missions have been accessible by people who preordered Legacy of the Void for a few months now, but with today’s Patch 3.0 they’re open to anyone. Yes, anyone—even if you’ve never, in your entire life, played StarCraft II. You’ll need Battle.net, but after that you just go to the StarCraft II section and install the starter pack. Boom—free missions. Whispers of Oblivion is just the most notable part of a rather large patch, though. Blizzard has a full rundown of Patch 3.0 here, but basically the team’s overhauled the user interface in preparation for Legacy of the Void. 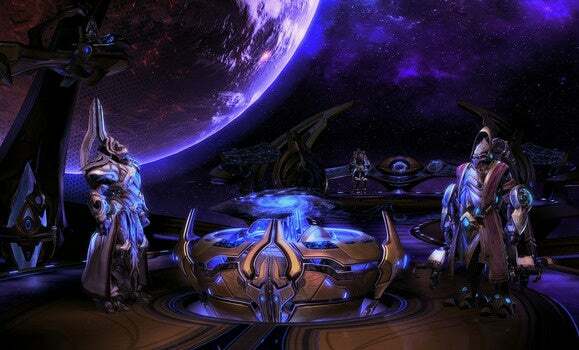 You’ll see those changes roll out regardless of which version of StarCraft II you’re playing. And as I said, we’re only a month-and-change away from Legacy of the Void. Blizzard’s (rather boldly) slated the game for release on November 10, the same day as Fallout 4. We’ll have more details then—or before, if Blizzard decides to blow the lid off at BlizzCon in early November.